Winter is the time of the year when people are mostly drawn to darker colours and sometimes such dark hues can give your outfit an edgier, harsher look. If you find yourself dressing in basic colours like black, add some pastel accessories for a feminine, soft touch. 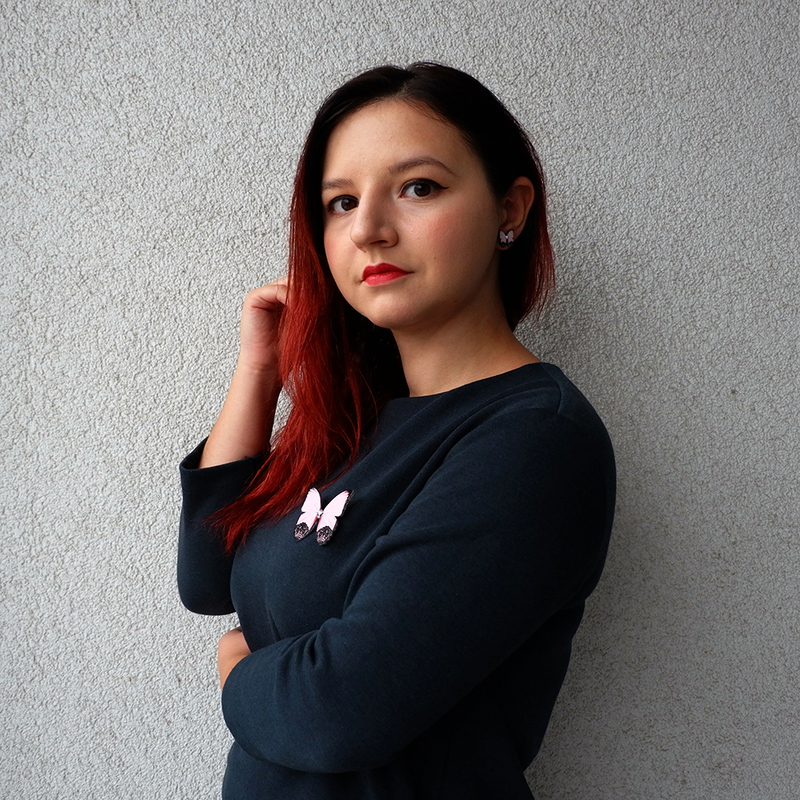 For this outfit I went for my cosiest dress and my blue coat – they are both go to pieces when it’s cold outside, and they are both in rather dark, cold colours. You will see how the butterfly accessories will add some spice to this bland outfit! When all else fails and feel that your cold weather clothes are lacking personality, accessories are there to save the day. 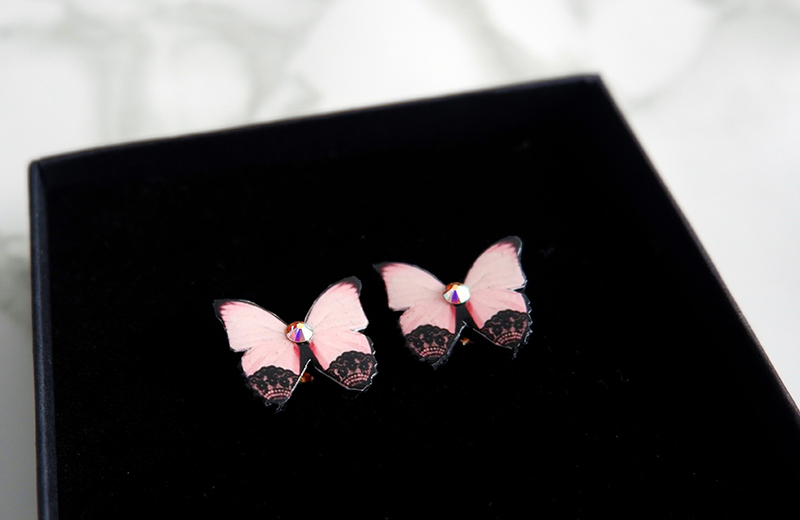 Such small touches alone, such as earrings or brooches, can make your outfit feminine and fun to wear! KUMA Design is an Estonian-based company that creates beautiful hand-made vegan leather accessories. 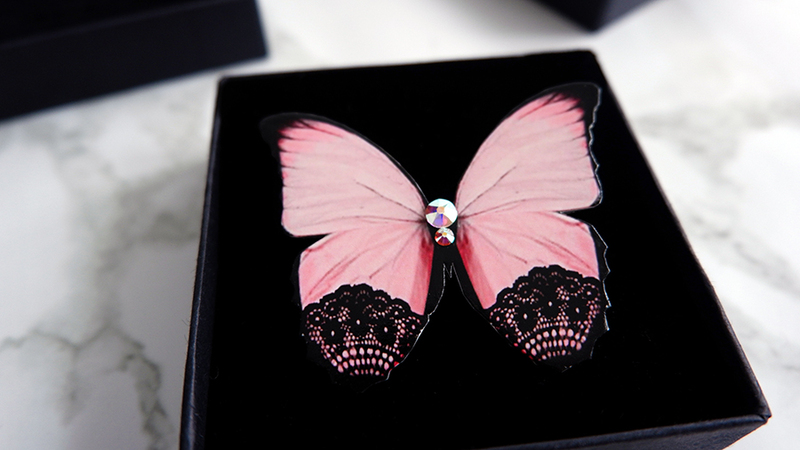 Check out their story and their other beautiful butterfly accessories on their website! Don’t forget to add my discount code “saccharine-soul15” !